This does not last long. If you want to know what kind of movie John Wick is, the following description should give you a good idea. Having been beaten up by Iosef (Alfie Allen, muscling in on Tom Felton's monopoly on playing reprehensible twerps), the snotty son of Viggo (Michael Nyqvist), a Russian gangster, and having watched as Iosef and his men stole his '69 Mustang and killed his dog - a beyond adorable beagle puppy that happened to be a gift from his dead wife - the titular former hit man and assassin (Keanu Reeves) decides to get even. He leaves his New Jersey home - but not before dispatching a dozen of Nyqvist's henchmen - and heads to New York where he checks into a hotel. Not just any hotel, though: The Continental Hotel, a hotel that caters solely to the city's society of trained killers, all of whom obey a strict code of honour put in place by its owner (Ian McShane) and enforced by his concierge (Lance Reddick). It's like the Cheers bar, except everybody knows your name because you might represent a potentially huge payday. John Wick is the sort of film in which the criminal underworld is literally underground. It's an action movie that fetishises the imagery of the noble killer who has a code and sticks to it. One in which men (and the occasional woman) have a grudging respect for each other based on their body count, as well as long and complicated histories of missions, alliances and rivalries. It's the sort of movie that starts in media res with its hero bleeding in the rain, goes into a flashback to show the audience how he got there, then immediately goes into a second flashback in order to get across all the back story that needs to be explained before the story can begin. It's a pulpy sprint through a world of trained killers, and it's a lot of fun. The film is the debut of Chad Stahelski, a stuntman and second-unit director who has worked frequently with Reeves in the past (he was his stunt double in The Matrix and others, and also served as the martial arts choreographer on Reeves' directorial debut, Man of Tai Chi). That experience proves invaluable, since he clearly knows how to shoot fight scenes that are exciting and visually interesting. Whether it's hand-to-hand combat or elaborate gunplay, there's a straightforward physicality to the action that allows the stunt work to shine, but the fight scenes are quick and varied enough that it never feels like just a showcase. Each action set piece advances the plot or reveals something about the character, and they're all delivered with flair and panache. One sequence, in which John chases Iosef through a club while dispatching wave after wave of Russian thugs, is especially great, and rivals the club scene in Collateral in terms of intensity and purely visceral thrills. That no-nonsense approach to every aspect of the production goes a long way towards helping the film transcend its well-trodden material. Vengeful hitman stories are nothing new, but what John Wick lacks in originality it more than makes up in verve. Reeves is dependably solid in the lead, primarily because for the most part he's only required to convincingly deliver a punch or knock someone's gun away, but the supporting cast is overflowing with great character actors doing fun work. In addition to the aforementioned Ian McShane and Lance Reddick, who both bring a wryly funny energy to proceedings, Adrianne Palicki is delightful as an unscrupulous assassin who takes on the task of killing John, Willem Dafoe packs a lot of tortured nobility into a small role as one of his old friends, and Dean Winters ably parlays his physical resemblance to Michael Madsen into playing basically the Michael Madsen character from Kill Bill. If you watch a lot of critically acclaimed TV shows, there is an added sense of fun in guessing which The Wire or Friday Night Lights alum will show up next. Every actor knows precisely what kind of film they are in and pitches their performance to the pulpy tone of the story, creating an action film that is brimming with personality without ever becoming annoying. With the wrong actors, it could easily have been the sort of bland action film that serves as a vehicle for ex-wrestlers, but with the cast Stahelski has assembled, each scene has someone guaranteed to bring a bit of life to the words between the gunshots. 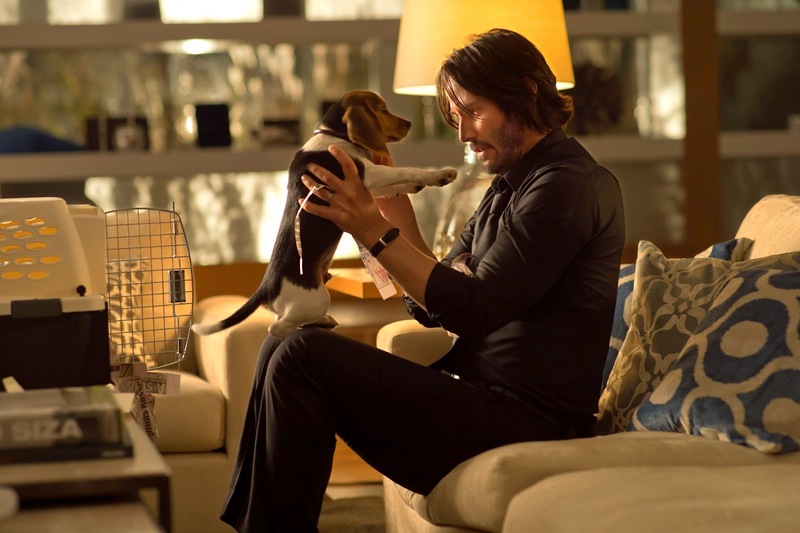 John Wick is a modest film with modest ambitions. It sets out to tell a revenge story which allows Keanu Reeves to kill people and look good doing it, and it succeeds. On top of that, there is just enough eccentricity in the performances and the script to make the film a distinct, flavourful concoction. The unusually dense back story also makes its version of New York an enticing one to return to, assuming there are any enough gangsters and bullets left to populate any prospective sequels.